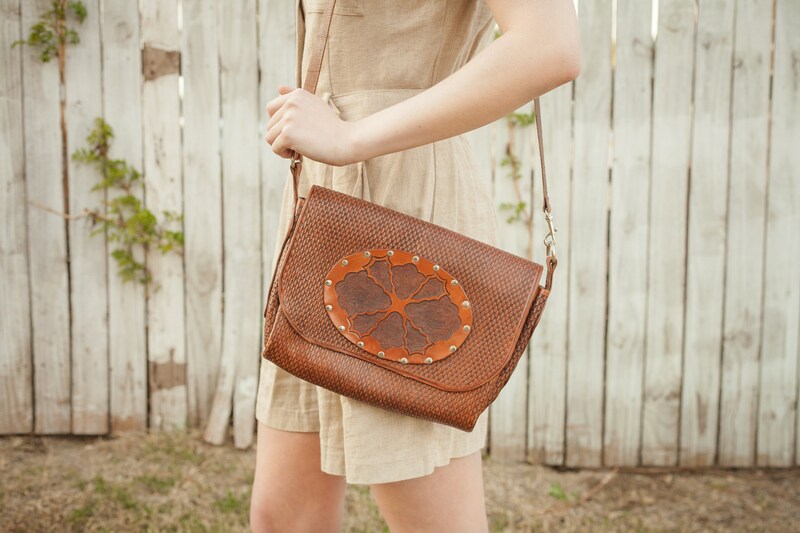 Walk into style with this beautiful vintage tooled leather bag! 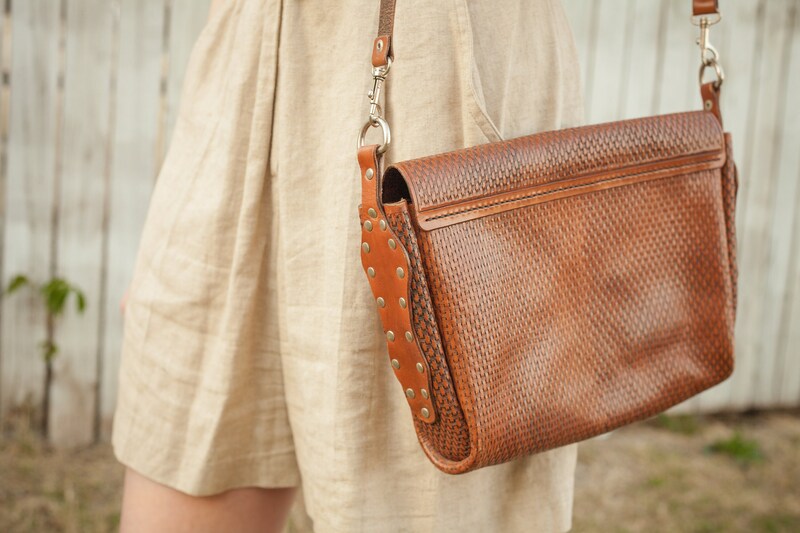 Add that extra Boho flair or wear it casually with any seasons favorite. 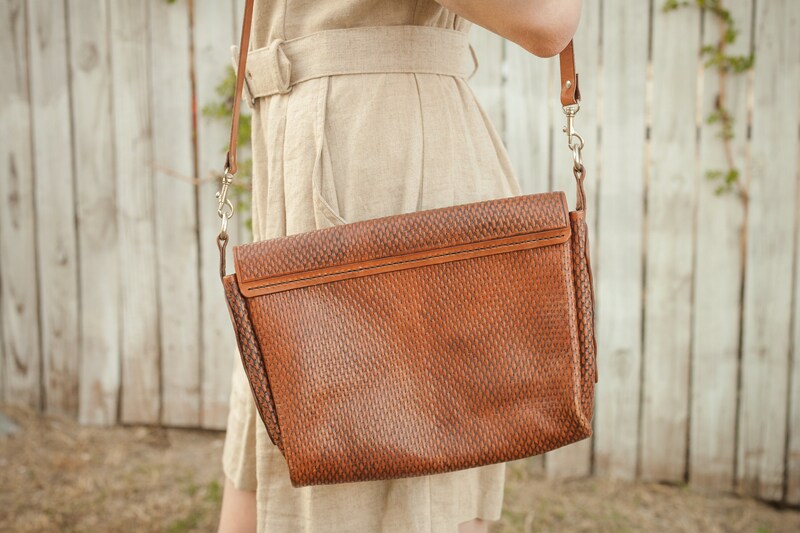 This purse is timeless and will age beautifully with it's carefully crafted detailing and strong metalwork. In near perfect condition with mild wear on strap.